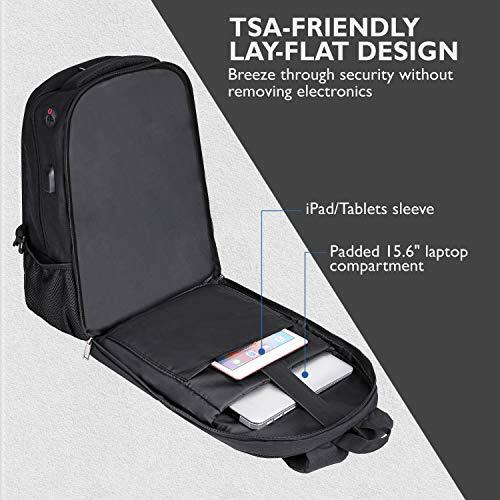 ✔ TSA friendly: tsar-friendly, lay-flat feature, designed exclusively for airplane travel. 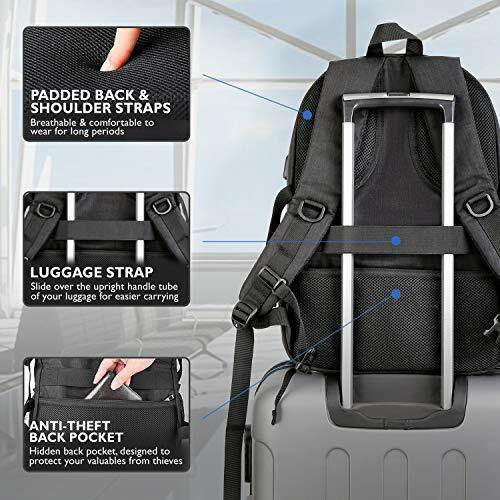 Get through airport security faster by lying the laptop flat without removing it from the bag. 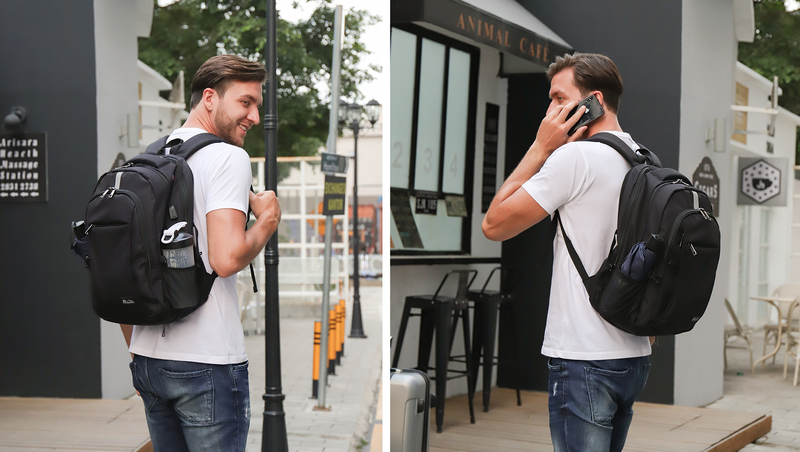 Featuring an Anti-radiation RFID pocket to protect your credit card security and a hidden anti-theft pocket on the back to protect your valuable items from thieves. 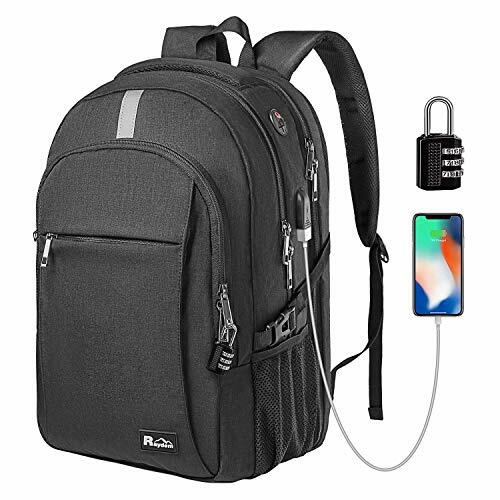 There is also a combination lock to protect your valuables inside and a light reflection safety strip on the top so you can see the bag in the dark. ✔ large capacity & organized pockets: one separate laptop compartment holds a 15. 6 inch Laptop, also be suitable for 15, 14, and 13 inch MacBook/laptops. The iPad pocket can hold an iPad Air/Pro or other tablets. There is also a spacious main packing compartment for day usage, Tech electronics & accessories. 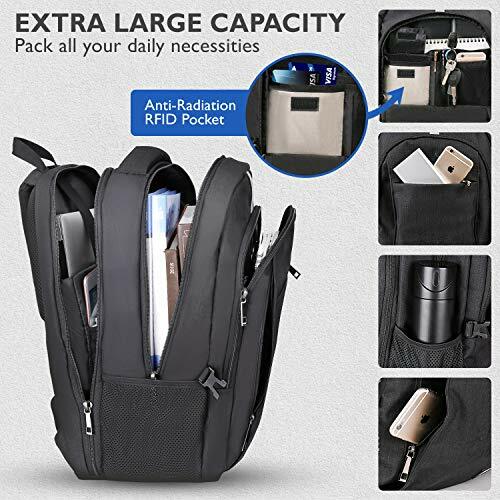 Finally, use the front compartment with Phone pocket, pen pockets, RFID pocket, key fob hook & deep Zipper pocket for optimum organization of your items and ease of access to essentials. ✔ comfortable & sturdy: ergonomic design with padded and breathable mesh Back and waist panel prevents overheating while promoting air circulation. 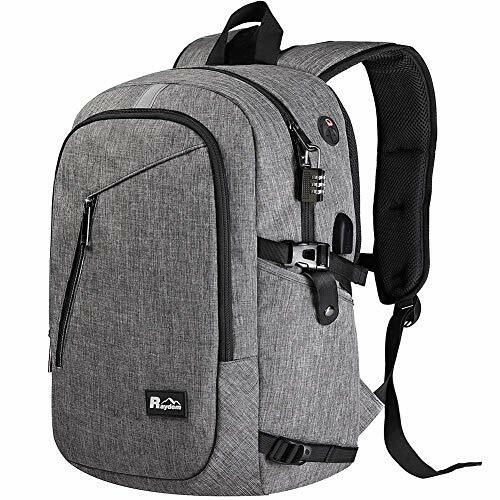 The adjustable and heavily padded shoulder straps made of honeycomb breathable material ensures the dispersion of gravity throughout the backpack, making it comfortable to wear even when loaded with your gear. Foam padded top handle for comfortable carrying. 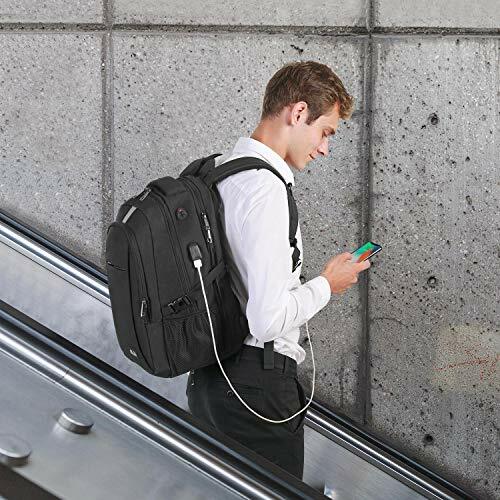 ✔ USB port & headphones: external USB charging port with built-in charging cable is provided to make it easy to charge your smartphone, Kindle and other electronic devices on the go (portable power bank required and not included with this backpack). headphone access port makes it convenient for you to listen to your favorite music hands-free. ✔ solid & Durable MATERIAL: made of water resistant and durable polyester fabric with YKK heavy-duty, metal, two-way zippers for maximum durability. Including a waterproof rain cover packed in the bottom pocket to keep backpack dry in the rain. Side compression straps keep the versatile, stylish Pack at whatever size you require. 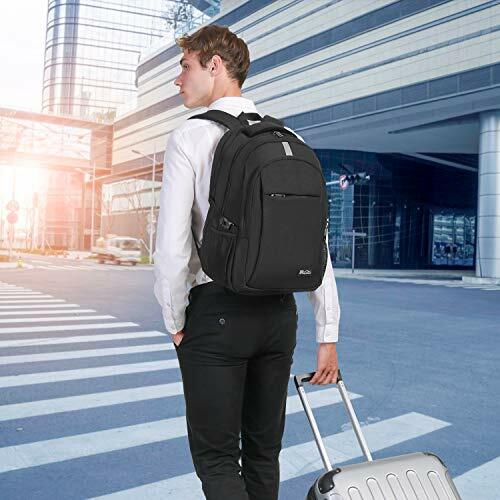 Perfect for business traveling, weekend getaways, Professional office work, and other outdoor activities. Enjoy secure and long-lasting usage every day or weekend!